With agriculture rapidly progressing into the age of mechanization, tractors have become an integral part of the entire process. Tractor manufacturing companies have introduced a range of innovations into their making and with this, productivity too, has gone a notch higher. This has resulted in the high demand of tractors in the farming sector all over the world. The issue of affordability too has been solved largely with the resale of used tractors. Remove the engine’s oil cap and check for issues with blowing. Check the radiator and the type of coolant used. Check the steering wheel, break and clutch pedals, gauges, lights as well as windscreen wipers. Pay special attention to the lift arms and the pock up hitch. Check for wear and cracks in the tyre. During test drive, ensure that there are no suspicious noises. Inspect the undercarriage and look for rust under the mudguards and cab corners. The time and efforts that buying a Used Tractors tractor requires, it is always more recommendable to look for a brand new affordable tractor available in the market. Besides eliminating the possibility of defects, it can in fact be more cost efficient than it seems. SOLIS manufactures affordable, durable and fuel-efficient tractors that are not just pocket friendly but also environment friendly. These tractors come in different series namely Narrowtrac Series, Utility Series, Hydrostatic series, Utility Series among others, are high in potential as well as return on Investment (ROI). 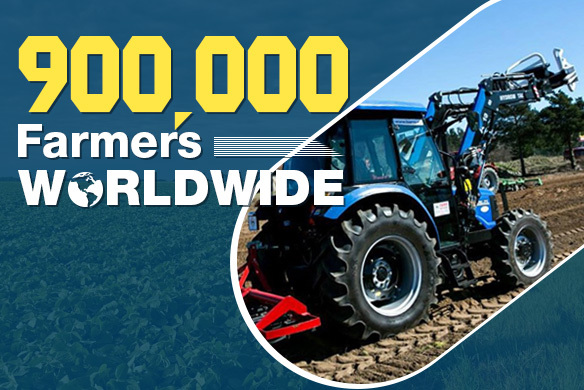 With the use of high-end technology and a dedicated workforce of 5,000+ people, SOLIS has the biggest integrated tractor manufacturing plant in the world located at Hoshiarpur, and has a capacity of producing 3,000,000 tractors annually. The company has already established itself as India’s 3rd largest tractor manufacturing company, ranking 6th globally. Empowering farmers across 110 countries around the world with complete value for money, SOLIS aims to cater towards a sustainable development of society and become the most favored tractor manufacturing company in the world. Known for its power and efficiency, SOLIS compact series is equipped with a complete range of implements for performing all tasks with versatility. This extra durable series come with horse powers 26, 50, 75 and 90. Providing maximum performance for composed farming in Vineyards and Orchards, the SOLIS N Series is equipped with synchromesh transmission. These narrow field professionals that come in horse powers 75 and 90,are user friendly and ensure power productivity. The Solis HST series is a multi-functional series,equipped with hydro static transmission, advanced tech features and high lifting capacity. Performing with efficiency in the toughest of terrains, SOLIS HST Tractorsshift between speeds with ease and provides maximum comfort to the user. Currently, this technology is available in the SOLIS 26 HST.